Brightening up your day with some Christmas Elf Cheer. Our Festive Elf Adult costume features a tunic top dress decorated with metallic red trim and has attached sleeves. It comes with hat with bell, belt with decorative buckle, striped leggings and a holly clip pin. 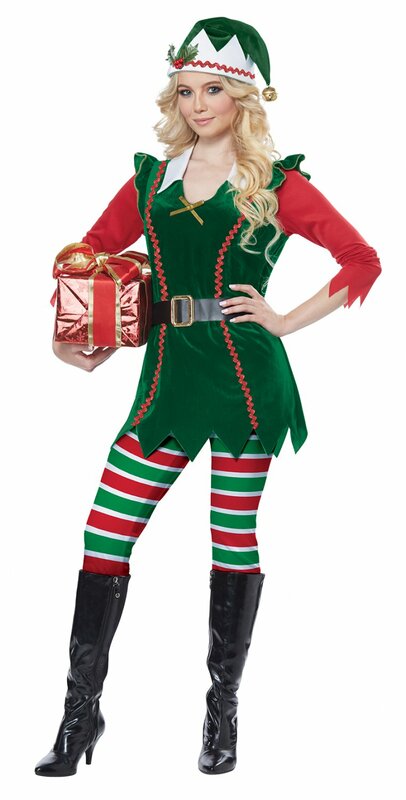 Our Festive Elf adult costume features a tunic, hat, belt , leggings and holly clip. Shoes and box present NOT included.